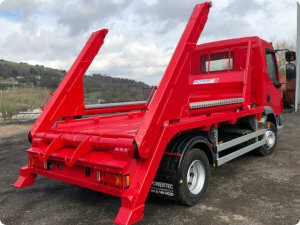 The Powertec range of skip loaders, designed for 10 tonne and 12 tonne chassis, are built for safe and easy operation. Using high tensile steel for strength and optimal carrying capacity, with a fully integrated hydraulic system for a faster operation, our skip loaders are amongst the most reliable in the market. As part of our continuing programme of development, we are pleased to introduce our new 6000EX and 8000EX Skip Loaders. 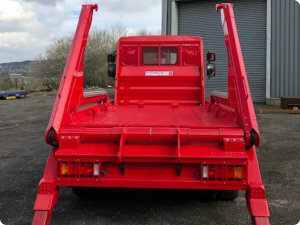 These Skip Units have been radically updated, by using advanced materials for the main arm structure we have been able to reduce the weight whilst increasing the strength of the unit. For more information contact us on 01484 842293.